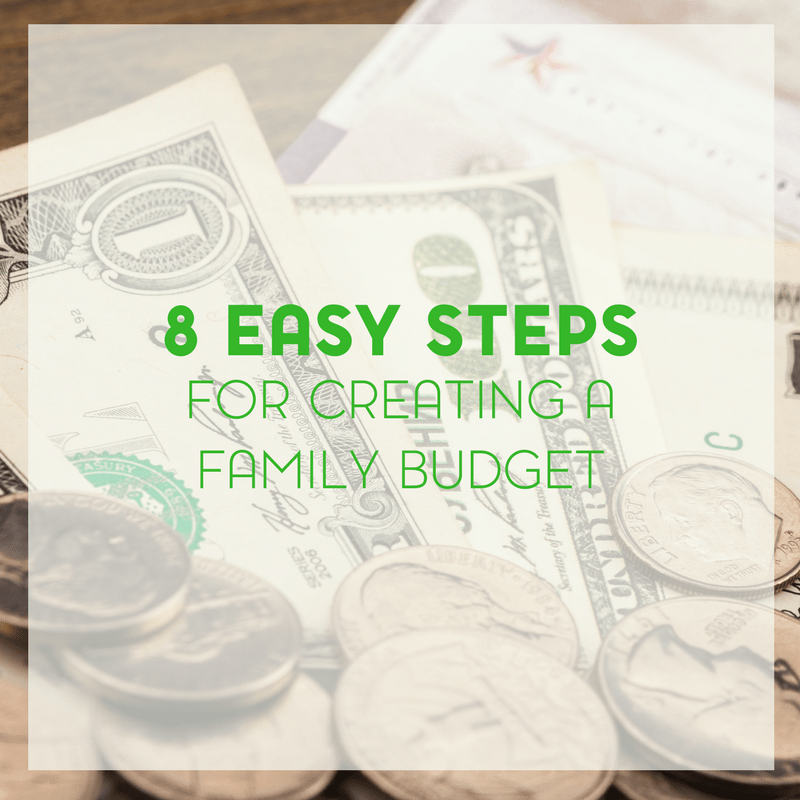 Creating a family budget may seem like an overwhelming thought. But, it is possible so long as you keep your financial goals in mind. And take baby steps. In fact, the first time we created a family budget; we didn’t do very well with it. Some months we were definitely okay and other months, well, it was as if the budget never existed. Also remember that by creating a budget, you aren’t sacrificing your entire life. You also aren’t handcuffed to your budget. But if the idea of living within your budget gives you anxiety, give yourself a little breathing room at the beginning and gradually work your way into your budget. It all starts with creating a family budget that everyone can agree on. And if you need further tips, be sure to check out my money management tips for millennial moms. The more inclusive your budget is, the more likely it is to work well for your family. Include every family member who is old enough to understand. A budget affects everyone, and it’s a good idea to listen to input from other members of the family. Call a family meeting to discuss finances. If you’ve never done a family meeting before, this is a good place to start. It may not be everyone’s favorite topic, but it’s an important one. Ultimately, your kids and spouse will be glad you included them in the discussion. Another tip on the meeting – try to call it at a time when it doesn’t cut into other plans. This should help reduce resentment. We’re fortunate enough that the major input for our budget is from Kyle and myself. Remember that your budget is a tool, not a dream machine. Goals are important, but a family budget should first focus on the numbers you’re dealing with. That’s the basic first step. Once you have a grasp on that, you can begin a bit more idealizing, such as saving for vacations, desired items, etc. Some budgets are so tight that it may seem there’s no room for any luxury. But if you get a bit creative about what constitutes a luxury, you will probably find you can in fact afford some kind of privilege or luxury. It could be something like buying your favorite brand name item at the store instead of settling for the store brand, or maybe buying fresh fish instead of frozen once a month. Maybe ordering a pizza or Chinese food is a luxury for your family that you can include in your budget. To do this, it’s a good idea to take your last three months’ worth of income and create an average. When in doubt, round down so that surprises will be more likely to be on the plus side. The same is true for expenses – include at least three months of expenses to get a true picture. First, figure out your net income for each month. This means your income minus taxes, insurance, 401K deductions, and so forth. If you are self-employed, subtract estimated taxes, insurance costs, retirement account savings, etc. At this point, you just need numbers. And yes, believe it or not, you can still save money on a budget. Next, figure out your monthly expenses. If they vary, figure out an average by looking at the last three to six months’ worth of expenses. For instance, if your electric bill was $150 last month, $140 the month before, and $175 the month before that, then you can estimate a monthly expense of around $155 for electricity. Alternatively, you could take the highest amount, $175, and go with that. At this point, stop and take a look at what you’ve got so far. Are your expenses greater than your income? It’s time to cut back significantly, or find another source of income (or both). Take a look at these personal budgeting templates for some help. If the budget involves cutting back, it’s probably a good idea to cut back in areas that affect the whole family rather than just one member. Otherwise, that one person may resent what seems to be preferential treatment of the others, and you’ve lost your whole-family approach to the budget. Explain how your family finances affect everyone in the household. Be clear and specific, citing fees, tuition, allowances, groceries, etc. and how they all cost money. There’s no need to beat everyone over the head with this information, so to speak; but it gets family members to think a bit about where the money comes from. It’s easy to take things for granted. And believe it or not, even the biggest of families can still make do with a grocery budget. You could also try a spending freeze to see if that will help. This distinction is harder to make for some people than others, and it’s tougher in some family dynamics than others. What one person thinks of as a “necessity” might be looked at as a luxury by someone else. If you’re in doubt, check budget formats and accepted principles in this regard that come from a third party. Ask your family members and friends if they’re budgeting and see how they created their budget. It takes a few months for a budget to sort itself out and become habit. There will be bugs that need to be worked out. Understanding this can help you stick with it as it needs tweaking and adjusting. Once you’ve determined your Income In, and Estimated Expenses, create a third category on your budget for Actual Expenses. If you’re tracking your budget monthly, then you can get a good overview as to how much you’re really spending per month. Maybe you’re coming in under your budget and you can start thinking about saving the money or putting it towards a vacation. Or, maybe you’re coming in over your budget. And that’s okay to, because you can always make adjustments. 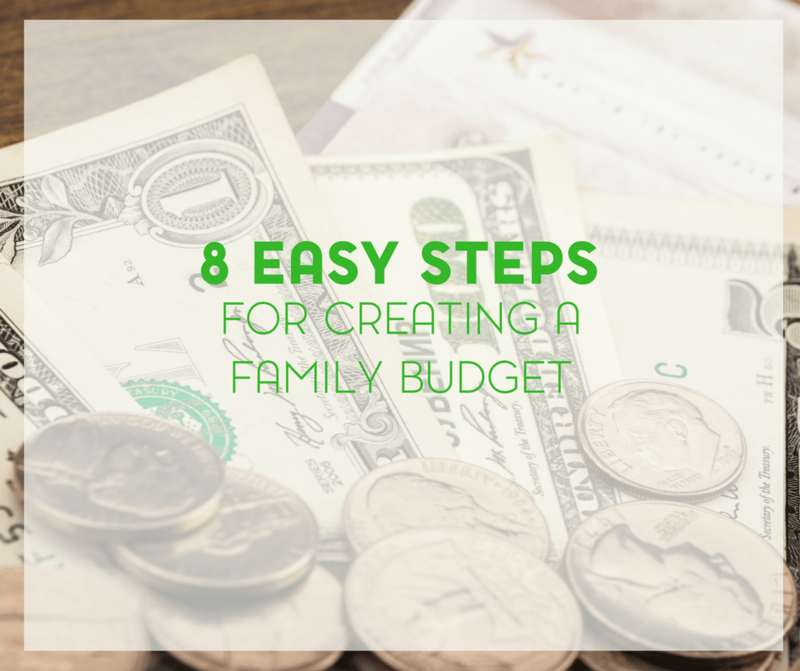 Remember, your budget doesn’t have to control your family or change their lives in a dramatic way. By involving everyone who’s able to participate, you can create a realistic and workable budget for your family. For the first time in ten years of marriage, my husband and I are making more than we pay out each month. We have fought long and hard to get to this point, and now that we are here, we are goijng to stay here. We have had to readjust the budget (in a positive way) in order to save more for our retirement and our kids’ savings, but it pays to stay on top of a budget and live frugal! 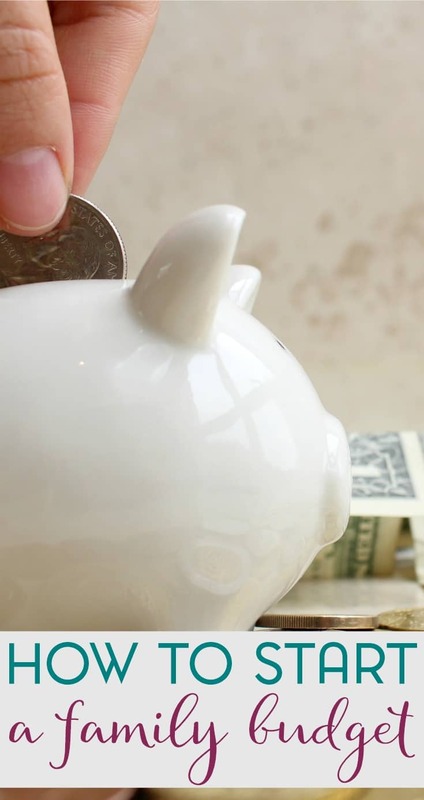 Some great ideas on how to save! 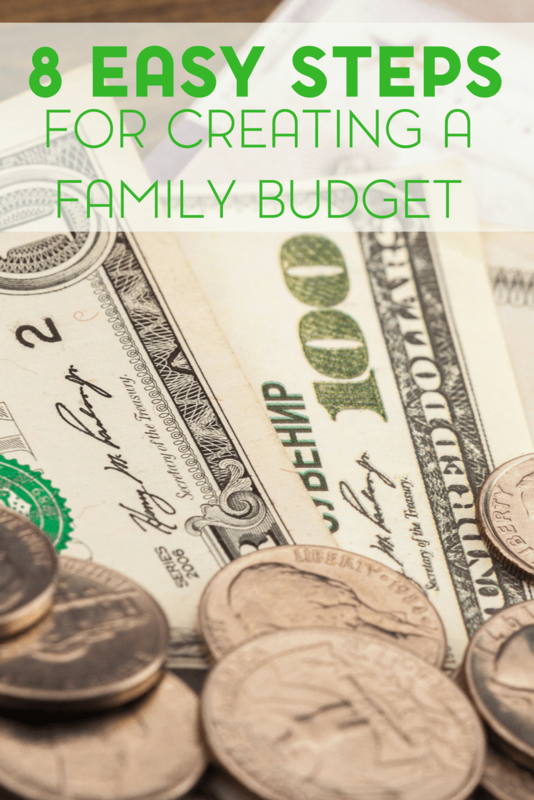 Thank you for linking up with the Frugal Family Linky! You’ve shared some wonderful and very helpful tips. My husband and I came up with a great budget back in December but he got a new job so we have to re-evaluate. Creating a budget is so important! Since hubby and I created ours, we only have 4 years left on house payments and all credit card is paid off. Doing good!